A note from Chris Adams: As we close 2014 and look toward 2015, I wonder if like me, you take time around this time of year to consider where you are in life and ministry. For those of us who are a little more seasoned, we often wonder what we can do to make sure we pass the mantle well. We also learn that life is fleeting as we outlive others around us and we walk with them through their last days. 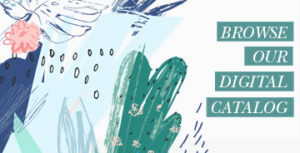 Read this thoughtful guest post by my friend Linda Lesniewski, women’s minister at Green Acres Baptist Church in Tyler, Texas. I’m familiar with the idea of “seasons of a leader’s life,” but I’m currently learning more about “seasons of life” in those I lead and love. I’m finding myself saying untimely goodbyes due to deaths of dear friends — women with whom I’ve served for years. I’d never considered that this would be a part of women’s ministry. I recently shared the intimate journey of one friend’s final year after a long battle with cancer. It included lying in bed with her and holding her hand while she said her goodbyes over the phone to her daughter, son-in-law, and four tearful grandchildren living overseas. Karen’s spiritual strength and maturity guided me and sustained me during that year. She lived an unwavering life right up to the moment she whispered, “I’m ready Jesus. Take me home.” And He did. Now another precious friend has notified me of her recent terminal diagnosis of ALS. Peggy wonders how to continue to faithfully lead her women disciples during this final “teaching time,” and I experience my own grief and feelings of inadequacies in knowing how to share this journey with her. This “seasons of life” ministry throws me totally face down, dependent upon the Lord to guide and to teach me. Within days of learning of Peggy’s diagnosis, I recalled a resource God had used to strengthen and prepare Karen, a classic Bible study by T.W. Hunt and Melana Hunt Monroe called From Heaven’s View: God Bringing His Children to Glory. Karen had led four groups of women through the study and often mentioned that the principles she learned were what grounded her during her own journey to the Father’s throne. So here I am, delving into these same theological truths presented by Dr. Hunt and his daughter in preparation for the journey ahead with Peggy. I want to offer you a brief summary of this process of “glorification.” We spend most of our time as leaders focused on the process of growing in Christ — sanctification — but little time on the end result of sanctification, which is glorification. 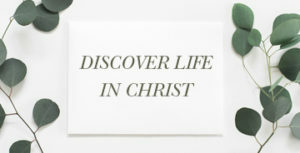 Paul tells us in 2 Corinthians 3:18, “We all with unveiled faces, are reflecting the glory of the Lord and are being transformed into the same image from glory to glory; this is from the Lord who is the Spirit.” Paul reminds us that we reflect the glory of the Lord here on earth as we live out our lives. And during our journey here, all that we experience is transforming us into His image. We reflect His glory more and more until finally we experience complete glorification upon arriving in His presence. Understanding glorification gives meaning to the process of sanctification. It’s our goal. And it’s in the crucible part of the journey that we learn to place our values in the spiritual realm rather than the earthly realm. So that’s where I am in ministering in this “seasons of life” dimension of women’s ministry. I’m seeking to learn how to share the journey with others as we all grow from glory to glory! What about you? Has this been a part of your equipping as a leader? What resources has God brought your way that would be helpful to others? Linda Lesniewski is the women’s minister at Green Acres Baptist Church in Tyler, Texas, and a LifeWay Ministry Multiplier. 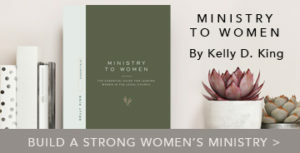 She is a contributor to the book Transformed Lives: Taking Women’s Ministry to the Next Level, and has authored Women at the Crossand Connecting Women: A Relational Guide for Leaders in Women’s Ministry. Linda is mother of four young adults and grandmother of six little girls.